The fort La Alhambra in Granada's old section at night. The name in Arabic means "The Red". It has fortified walls and towers. 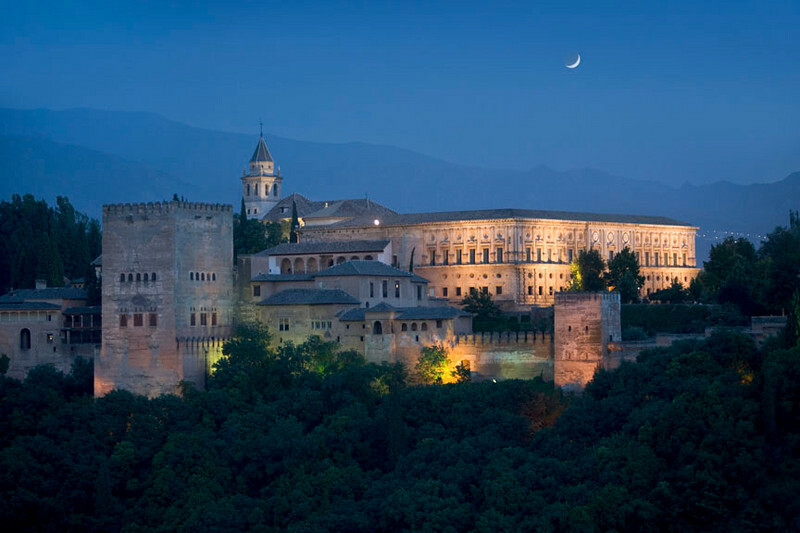 It is a fortress built by Moorish Monarchs of Granada which contains Islamic art and architecture. It is surrounded by a park, Alameda de la Alhambra.